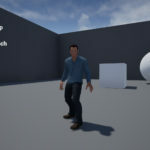 For this weekly assignment module our focus was to design a prototype for a small simple game using the Unreal Engine 4. 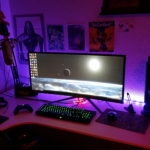 There were certain requirements like make sure the game fits into a certain genre, use a certain game template (like first person, third person, top down and so on), make a concept document, blocking the level using basic shapes and BSP, make the game functional using objectives (pick up x number of items, solve puzzles, beat the timer etc.) This assignment should introduce us to the process of documenting gameplay and mechanics before implementing it into visual scripting. 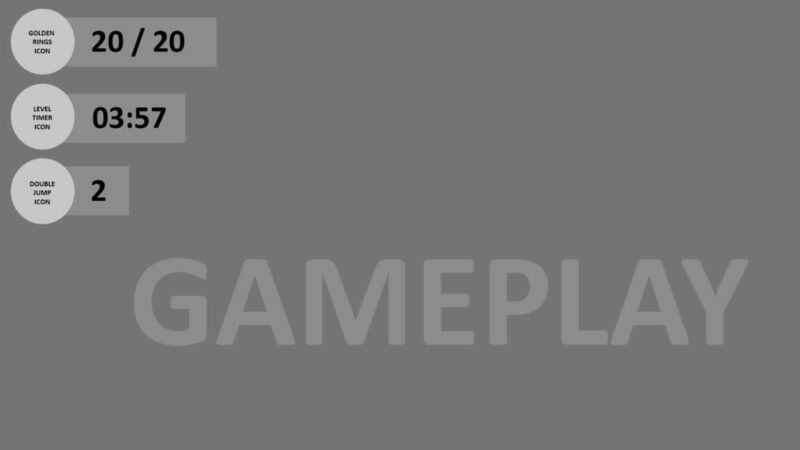 Another part of this module was to create a HUD based on the gameplay type, win/lose screen with option to restart, make a fly through and in the end present the assignment to the class. Casting to ThirdPersonCharacter with the object “Player Character” and feeding double jump timer and total golden rings count to HUD. Getting Level timer minutes and seconds from casting to GameMode displaying via binding in Widget HUD Blueprint. BeginOverlap collision with golden ring and player character triggers AddCoin function and plays a sound at character location. 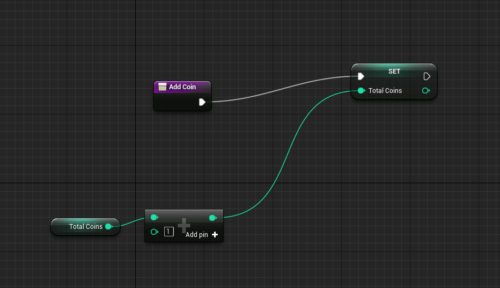 AddCoin function on ThirdPersonCharacter that adds 1 coin count to TotalCoins variable activated by collision. 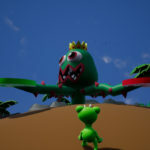 Allows character to double jump, by applying force a second time in the air, resets on landing. I started this weekly assignment by deciding which gameplay alternative I wanted to work from. I decided to go with “Player picks up 20 of 20 golden coins to win and as an extra challenge I added a 4 minutes timer that you have to pass in order to beat the game. Just like I did with the Real-Time Environment Module 1, I also made a top-down concept in Adobe Illustrator to get a basic idea and sense of scale and feel of the level. When I felt comfortable about the fundaments I then started blocking out my level in UE4 using basic shapes like cylinders, I decided to not use any textures since this was not needed. I used the Third Person Game Template for this project. However, I used a golden material for my golden coins in order to make them stand out, I also added a light underneath them. 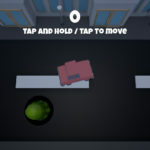 I used a white color for the obstacles and a gray color to the ground to indicate where you can go. If player touches the ground it means game over. When picking up the rings I added a simple “coin pickup” sound using Blueprints. I used Blueprint to add basic rotation to some of the obstacles in the level for extra difficulty, this was also added to the golden rings. In order to make my level flexible I added multiple paths to complete it. For instance you could go to the top of the “hill” at the end and then go back to the start and get the coins there before winning the game. When designing the level I kept focus on rewarding harder jumps with golden rings in-between to keep the player motivated and give him a sense of achievement. The player can also see the “end” of the level all the way from the start, which was inspired by the game Journey by Thatgamecompany and gives the player a goal to reach and a sense of scale. 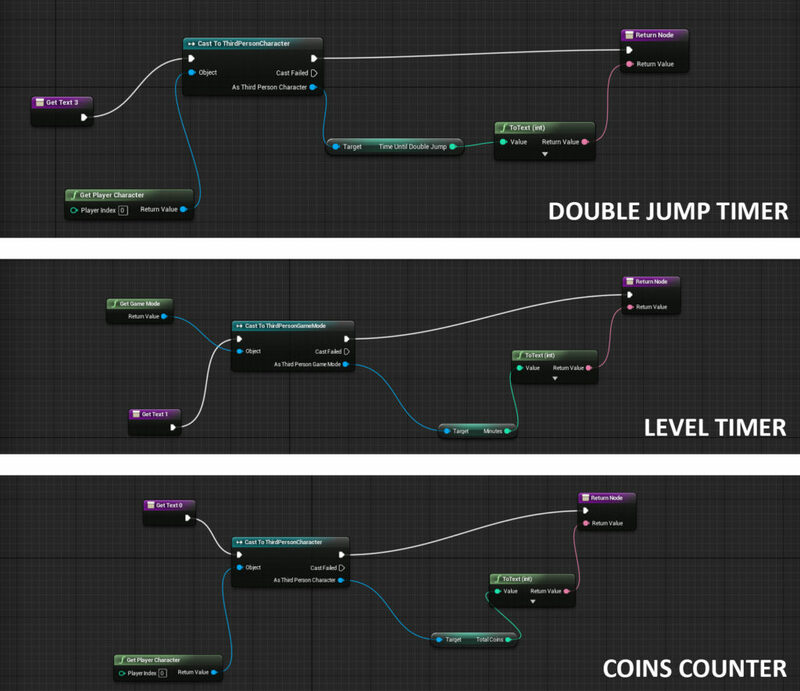 After feedback from the teacher I added a double jump with a 3 seconds cooldown, I later on revolved my level around this so sometimes the player has to stop and wait for the double jump to be ready since some jumps are too high for single jump. 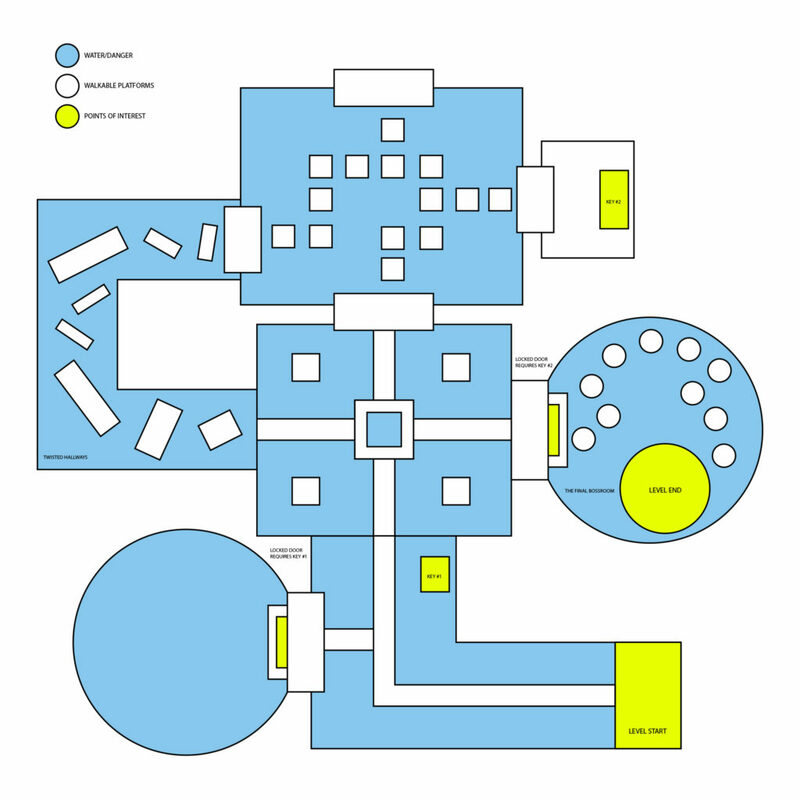 A lot of the game design went into fine-tuning the difficulty of the level. 20/20 golden rings, 3 second double jump countdown and the level timer. I added a binding for these textboxes that linked it to the “TotalCoins”, “TimeLef” and “TimeUntilDoubleJump” variables stored in the player character. 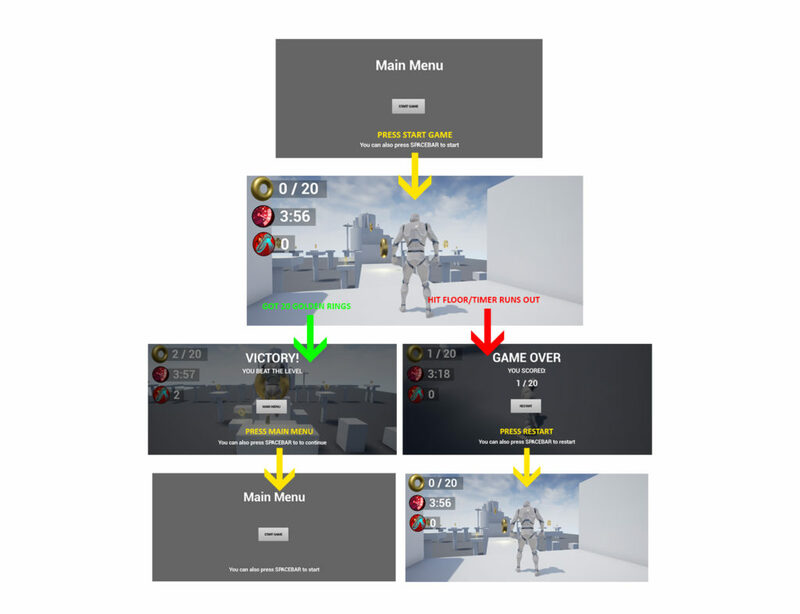 In the end I added a simple Game Over, Victory and Main Menu, using Widget Blueprint under User Interface in UE4 that I made functional Using Blueprints. Then I packed my game into an executable for delivery. In this module assignment I got to use my experience with programming and convert it into visual scripting. 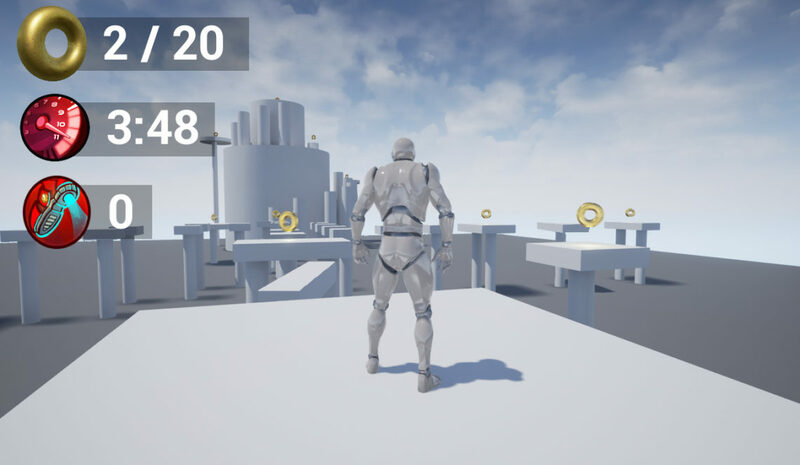 I went for the extra challenge points on this assignment to become more familiar with Unreal Engine 4. I combined two of the gameplay alternatives, added a sound effect when picking up the golden rings, and a simple Main Menu. 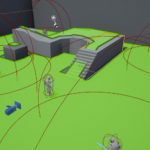 I am looking forward to adding more advanced Blueprints and even AI to a level design. It will be fun to continue using UE4 in further projects. If I were to go back and change something about my level it would have to be the difficulty and jumps, I’m not 100% happy about the difficulty, it feels a bit too hard at the moment. I could have added a pause menu and an exit game button, but decided not to.